KUALA LUMPUR (Aug 8): Malaysia Airlines Bhd has appointed Arved von zur Muehlen as its chief commercial officer effective Sept 5. Muehlen replaces Paul Simmons who will be leaving in mid-September. 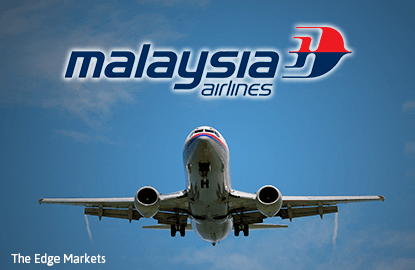 Malaysia Airlines chief executive officer Peter Bellew said Muehlen will focus on developing a comprehensive and sustainable plan to improve Malaysia Airlines' marketing, sales, products and customer service. "Muehlen will play a crucial role in the next phase of the turnaround, focusing on restoring our position as a leading international carrier and developing our innovative customer centric services," he said in a statement today. "He is a welcome addition to the team as we move forward with our global marketing strategy to increase sales and promote the wonders of Malaysia," Bellew added. Muehlen brings with him over 20 years of experience in the aviation industry. Prior to his appointment, Muehlen was the senior vice president of commercial network operations for Qatar Airways, responsible for global sales strategy and development as well as innovation and technology. While there, he managed the roll-out of several successful projects, including the implementation of a new internet sales platform and booking engine. Before that, he spent four years with Swiss International Airlines as vice president of sales international. He also spent over 15 years with Lufthansa Airlines covering a wide breadth of portfolios in revenue management, sales and marketing and left the airline as managing director of Greater China.